An online course teaching staff about the 2010 Equality Act and its relevance in the workplace in our ever-increasing diverse society. The qualification is a national training certificate that is recognised by local authorities and corporate employers throughout the UK. On successful completion, your equality and diversity training certificate is valid for three years. As well as your certificate of achievement, why not download our free Equality and Diversity Poster HERE to use and display at your workplace? 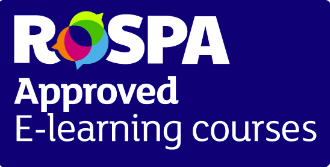 Why choose our award winning online course for your training? Because the course helps people understand and recognise different types of discrimination and the importance of tolerance, diversity and understanding. Because the course is informative and suitable for all employees regardless of their role in an organisation. All our courses are created by experienced professional assessors that are both PTLLS, and NEBOSH qualified and based on the 2010 Equality Act. Because our training certificate conforms to UK and EU legal requirements. Here's some more great news about our online equality and diversity course. On completion of the course, each successful candidate receives a Certificate Of Training, avilable as an instant download. This course is designed to help people understand the difference between equality and diversity. To teach people about the many different forms of discrimination. To teach people what protected characteristics are. To explain why previous equality Acts were abolished and what the 2010 Equality Act covers. To let people, know what steps someone can take if they feel they’ve been discriminated against. To learn what equality, diversity and discrimination are within the workplace and cover elements of Law, Duties and Benefits. To learn about the 2010 Equality Act types of discrimination and protected characteristics. To learn what was there before the Equality Act of 2010 and why a single Act is now used. To cover the legal ramifications and processes involved if someone feels they have been discriminated against. To cover the nine characteristics that are protected under the Equality Act. To cover the four main types of discrimination which include: Direct discrimination, Indirect discrimination, Harassment and victimisation. To look at the sub categories of discrimination that include: Associative discrimination, perceptive discrimination and third party harassment. To learn how diverse the UK and UK workforce is. To learn what employers duties are and what responsibilities and practices are expected from employees.